To put it smiply, JM Stitt Construction “builds big.” There’s a strong chance that you have walked, shopped or dined in one of their projects. They build malls, storefronts, restaurants and more. 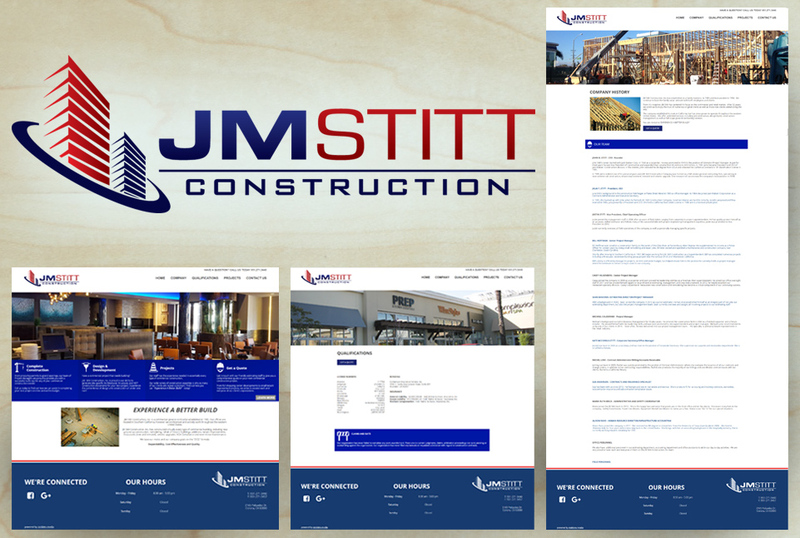 JM Stitt needed a website to match their high level of quality and craftsmanship that goes into each of their jobs. We created a simple and easy to use website pared with WordPress for easy content updates. In addition to the website, JM Stitt was in need of revamping their logo. With our Logo-In-A-Week package we were able to rebrand the company in fewer than 7 days!